Bringing about change within organizations does not come without challenges. Change fatigue, the paucity of requisite skills to ensure durable reforms or a top-down approach can make change processes within organizations difficult and unsustainable. Integrity and accountability risks can further hamper change processes. Whilst discussing integrity is still a taboo in many organizations, active integrity management can have many benefits for changing organizations of all sizes, as shown in three cases presented during an event held at the Stockholm World Water Week 2016. Mohammed Abdullah, Managing Director of the Khulna Water Supply and Sewerage Authority (KWASA) in Bangladesh shared his experience of how an integrity-focused change process helped increase the revenue base of the utility and provided more transparency and accountability to customers in handling the bills. Samson Shivaji of KEWASNET discussed how civil society organizations in Kenya are using integrity management tools to improve compliance, quality and integrity in their projects. Catherine Wanjihia from Caritas Switzerland showed how integrity management helps rural communities in Kenya manage services sustainably, build relationships to local governments and comply with regulation. Based on these cases and experiences, participants tried to answer a few questions about change processes within organizations during the seminar: what integrity challenges undermine water management and service delivery? What makes organizations engage in an integrity process? How does an integrity process start and what activities kick-start it? Moreover, what challenges do organizations still face in successfully managing integrity? Illegal connections, irregular processes, non-compliance with regulation, collusion of officials with informal water cartels, and falsification of invoices and accounts are all serious integrity challenges that water sector organizations face. Such risks can damage an organization’s reputation, seriously affect their bottom line, and violate human rights. An integrity management process starts with the identification and prioritization of the integrity risks that affect an organization’s business model. Integrity risks are situations or activities that expose an organization to losses, damage or any negative incidence resulting from malpractice or too little transparency, accountability, and participation. The organization then develops a roadmap of practical measures to address the specific risks (for example in governance, human resources, accounting or customer service), before monitoring their implementation and performance improvements. The Integrity Management (IM) Toolbox contains guidance to identify the most important risks for water service providers and examples of tools to address them. The IM Toolbox has been adapted to support different types of organizations in various countries. One such adaptation for integrity, quality and compliance (IQC) has been developed with KEWASNET for civil society organizations (CSOs) to better manage their projects in Kenya and another was developed with Caritas Switzerland for community groups managing rural water systems, also in Kenya. 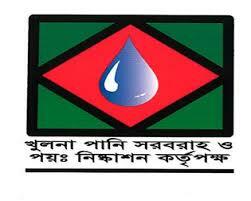 KWASA also adapted the IM Toolbox for water utilities in Khulna. By looking at risks and change from an integrity perspective, organizations can often better address the root causes of underperformance and implement measures with broader acceptance from stakeholders in the organization. KWASA serves Khulna, a city of one-and-a-half million people. As part of a change process aimed to improve its operations, the utility started applying the IM Toolbox in 2015 with the support of WIN, the Bangladesh Water Integrity Network (BAWIN) and Transparency International-Bangladesh. Change management processes in organizations do not always take integrity risks into account. However, Abdullah has seen the application of the IM Toolbox as a necessary step for the utility to move to the next stage in their business. When the utility assessed integrity risks to achieving their business model, it became clear that some of the deficiencies which caused inefficiency and poor performance in their utility were linked to individual behaviour of staff at different levels. Abdullah notes that ’it frequently remains a challenge to change the moral character and behaviour of individuals. This is an area of challenge for any utility organization‘. He stresses that integrity management through the implementation of the IM Toolbox has helped KWASA put in place systems that make malpractice more difficult and which encourage behavioural change for lasting performance. With support of the toolbox, the utility has now developed better information systems for billing, accounting and human resource management. It is also enabling enhanced participation of stakeholders and continuously monitors and evaluates its activities, which helps to tackle backlogs. KWASA reduced the time required for new water connections from 30 days to 20 days. Abdullah notes that improved efficiency and effectiveness of the organization can partially be attributed to the involvement of an integrity process within their change management process, since it helped address the moral and behaviour of employees. Abdullah therefore recommends the use of integrity management within a larger change process of water organizations. The Integrity, Quality and Compliance (IQC) toolbox is used by organizations in the WASH Alliance in Kenya to reflect on their performance and key areas of improvement. Shivaji stresses that ’the need for integrity management arose due to the fact that the Kenyan government was unable to identify or attribute credit for the efforts of civil society in the water sector‘. This made it difficult for government to take civil society organizations seriously since no tangible reports on the results of their work were available. According to Shivaji, it therefore became important for CSOs to continuously monitor their own work, by checking whether their projects were being delivered with integrity, quality and in compliance with the regulatory framework. Based on results from the IQC toolbox implementation, KEWASNET delivers critical reports to the government reflecting civil society’s contribution to water sector performance and highlighting areas for improvement. The approach has been beneficial and the report well received. The government now uses the results to better engage with CSOs. There are still challenges in implementing integrity management at this level. According to Shivaji, ’there are often big organizations that do not feel the need to be ”peer reviewed” or that are not willing to address their failures‘. Still, Shivaji is convinced that when CSOs increasingly engage with the government and are taken more seriously after reflecting on their own compliance, quality and integrity in water service delivery, it may also stimulate other water organizations to take up integrity management in the long run. Increased engagement with authorities due to better integrity management can also be noted through the work that was piloted by Caritas Switzerland and partners in several rural communities in Kenya where water service provision is managed by community groups. Whilst the regulatory framework has evolved a lot over the past years, the community groups have at times been unable to keep up or operate successfully. The implementation of the IM Toolbox has helped such community groups identify exactly where the integrity risks and management problems lie within their mode of operation, and also allowed them to find ways to address them. ’Whilst some groups saw the value of adhering to the new regulatory framework and managing integrity, other community groups did not see the need to comply‘, according to Wanjihia. She added that there are several reasons why it is important for groups to be in compliance with the regulatory framework. Firstly, as a legal entity, the group will have legal authority to enter into binding contracts, sue and be sued, acquire assets such as land, sign agreements with water service providers or get a licence to provide water. Another benefit of being compliant is that there is a control and reporting mechanism in place on the quality of the services provided, which ensures upwards accountability. For the Water Services Regulatory Board (WASREB) of Kenya, for instance, such reporting is key to ensure that services provided are in accordance with the right to water standards. Additionally, compliance by community groups ensures that they get access to funding from the government or other financial institutions, such as the Water Services Trust Fund. Finally, it ensures that technical support can be requested from the Ministry of Water and Irrigation. Want to learn more about how your organization may benefit from an integrity management process? Read more about the IM Toolbox here or get in touch!